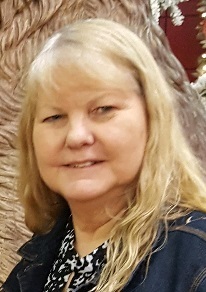 Brenda Kay Baird Gray, 66, entered into rest Saturday, March 16, 2019 at her residence, wife of the late Bobby Wayne Gray, Sr.
She was born in Corpus Christi, TX, has lived in Augusta since 1985, she was a Nurse for over 20 years at Azalea Health & Rehabilitation. She is survived by her son, Bobby Gray, Jr. (Jennifer Grimes) daughters Tamara Rhoten (Tommie), Shelley Kunkel (Mike), sister Donna Matheney (Ronnie) and nine grandchildren. She is preceded in death by her parents, husband and sister. A memorial service will be held on Friday, March 22, 2019 at 11:00 am at Poteet Funeral Home Chapel 3465 Peach Orchard Road with Chaplain Wade Sosebee officiating.